CBD oil is one of the popular products today. The oil is commonly used in various applications as well as treat common ailments. CBD oil contains cannabinoids that pack many beneficial properties for both humans, pets, and especially dogs. CBD oil is extracted from the stalks and leaves of marijuana. It, however, doesn’t contain THC, the psychoactive compound responsible for feelings of ‘high’ and other side effects. For this reason, CBD oil is perfectly safe for your dog, hence no need to worry. Dog’s interact/react to CBD oil in the same way humans do. Like the human system, the cannabinoids target receptors in various parts of the body including the central nervous system, the brain, vital organs, body cells, and the immune system. Cannabinoids help these receptors function effectively while stimulating a sense of relaxation on the body cells. This in return helps take care of certain health conditions including stress and anxiety. 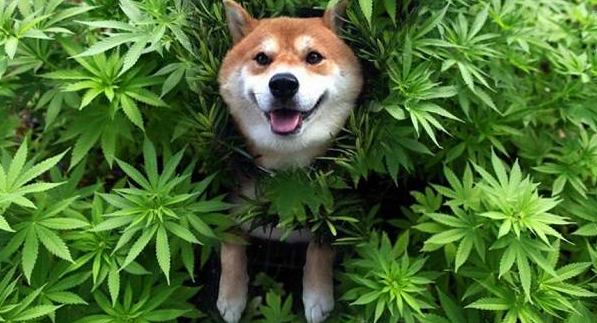 Cannabinoids contain properties that come in handy in fighting anxiety and stress in dogs and other pets. Pets to do suffer from anxiety which can make them restless, unresponsive, or even have certain phobias. According to research, administering CBD oil to the dog helps them calm down hence ably overcome situations that make them anxious. The best thing with giving the dog CBD oil is that you never have to worry about side effects. All you need is add a few drops of the oil to the pet’s food or use the same when brushing its teeth. Dogs too, like humans, do suffer episodes of epilepsy and seizures. It is estimated that at least 5% of all dogs suffer from this condition. This condition can be fatal to the dog and especially if it’s not diagnosed early. Most vets will put dogs with these conditions on drugs such as potassium bromine or phenobarbital. These drugs don’t always work on dogs and may in some instances harm/overwork the liver among other organs. CBD oil, however, comes in handy in treating these conditions and doesn’t pose any health risk to the dog. According to research, CBD is effective in treating drug-resistant epilepsy. Studies show that dog’s show a remarkable improvement and reduced episodes of epilepsy a few months into using the CBD oil. CBD oil has long been used to fight inflammations and pain from various conditions. It is among one of the most effective natural home remedies for pain for both humans and pets. If your pet sustains an injury, you can then administer CBD oil to help with the pain. The pains may also be as a result of a degenerative illness as well as arthritis. Massaging the affected area with CBD oil, and letting the dog ingest a few drops of the same helps fight inflammation by reducing oxidative stress and calming nerve endings. This causes the pain to fade away providing relief. CBD oil can be used to treat cases of indigestion, flatulence, and bloating in dogs. Digestion problems are very common with pet dogs and can be life-threatening at times. Giving a few drops of CBD oil to the dog, however, helps relieve most of these conditions hence restoring regular bowel movements. It is also worth noting that CBD oil can be used to control nausea and vomiting in dogs. Puking is one of the signs and symptoms of indigestion and flatulence in most pets. Luckily though, CBD oil does come in handy in preventing this. CBD oil is also known to contain properties that help contain IBS and chronic inflammation in dogs. There are times when your dog will refuse to eat anything at all. One of the reasons for this is nausea, indigestion, or another prevailing condition. Lack of appetite leads to malnourishment making the dog lose weight fast and susceptible to infections. CBD oil, however, seems to help with this condition. The oil contains properties that help regulate hormones thus stimulating appetite. The increased appetite and hunger pangs should make the dog start feeding again within a few hours. Be sure to administer just enough CBD oil to induce appetite. CBD oil contains potent antibacterial properties that also come in handy in promoting good oral health for your dog. Bad mouth odor and infections are common conditions with most dogs today. In addition to brushing the dog’s teeth once in a while, it is advisable to use CBD oil alongside its toothpaste to get rid of bacteria already in the mouth. Most dogs don’t seem to mind the mild taste of CBD Oil, hence shouldn’t become restless when you use it on them. Placing a few drops of CBD oil in the dog’s mouth also works as mouthwash, thus essential for proper oral health and to eliminate mouth odor. Unfortunately, dogs aren’t immune to cancer. 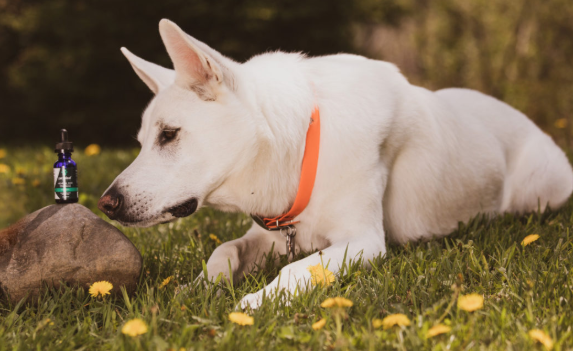 Cancer can have a detrimental effect on the dog’s health, mood, and activeness, with most of them showing signs including loss of appetite, nausea, and chronic pains. Giving small doses of CBD oil to the dog every day, however, helps reduce progression of cancer while inhibiting the development of cancerous cells. You can also administer CBD oil to a healthy dog to reduce the risk of developing cancer as well. From the facts and benefits outlined above, it is evident that CBD oil is highly beneficial to dogs and other pets. It would, therefore, be wise to get a fresh supply of CBD Oil and keep it tucked someone in the cabinet. CBD oil will come in handy when treating various dog-related health conditions. Be sure to order these from a certified and trusted CBD oil supplier. Previous articleHow Much CBD Oil Should I Give My Dog?